Why Give Barack a Pass on Energy? 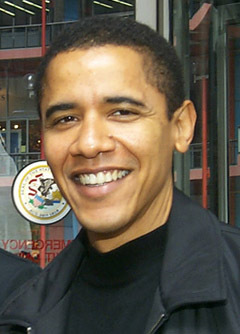 It’s understandable that many Democrats are enthused about Illinois Senator Barack Obama’s presidential campaign. He’s young, hip, smart, and charismatic. He’s an African American in a race that also features a woman and a Hispanic man. And he talks a good line about energy, the environment, the economy, national security and global climate change that intelligent progressives have accepted uncritically, including those at ThinkProgress.com. But from this vantage his candidacy feels like it’s wrapped too tightly in the see-through cloth of hope and hype. In the parlance of public interest campaigning, this is what is commonly referred to as double talk. The idea of “clean coal” technology is a chimera, a kind of “holy grail” adventure periodically offered to the American public to justify the continued mining and combustion of the dirtiest energy source on earth. Coal is a mess to extract, producing acid mine drainage and all manner of other forms of water and land degradation in the Midwest and East, and ripping vast scars on the lands of the West. It’s even more hazardous to burn, emitting mercury and heavy metals, and producing enormous quantities of carbon dioxide and other warming gases. The federal Department of Energy has wasted a lot of money to promote “clean coal” technology for 30 years. All that can be said is that the latest practices may burn a little less dirty, but that’s a long way from clean. We should expert more from Senator Obama, and any other candidate for president, Democratic or Republican, on energy and global climate change. International scientific panels have reached consensus on the causes of global climate change — combustion of fossil fuels — and its solutions — develop much cleaner energy alternatives. Replacing coal with a national research and development program aimed at building an inventory of ecologically-sound energy sources should be a priority goal of any 2008 candidate. Voters have a responsibility to reject anything less, especially a candidate that masks his support for a state industry behind technological double speak. A final note. Voters ought to ask Senator Obama about his economic priorities. The Illinois coal industry, still the nation’s ninth largest, produces 32 million tons annually of some of the dirtiest high-sulphur Midwest coal, the type that already was causing the acid rain that has been diminishing the forests of the South and Northeast. According to the Illinois Department of Commerce and Economic Opportunity, the industry has been steadily consolidating for 30 years. In 1978, 70 mines in 10 Illinois counties employed 18,000 people. In 2006, there were 20 mines with 3,900 miners. In some southern Illinois counties coal jobs have disappeared completely. Doess Senator Obama really stand for the future, as he says? Or is he just one more articulate politician showing false compassion for a dangerous industry and a fading constituency?